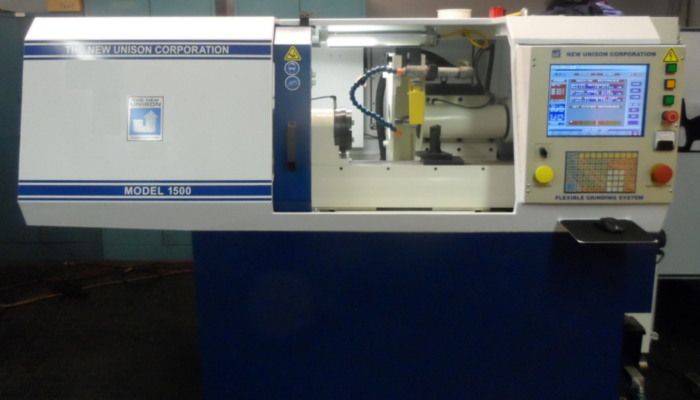 The Model 1500 is an extremely rigid production grinding system designed to grind both round, non-round, standard and non-standard OD shapes as well as contours and peel grinding. The polymer cast base provides significant dampening properties to absorb vibration during grinding. This improved base increases accuracy during grinding as well as the surface finish on the parts. Polymer bases are less sentitive to temperature fluctuations due to a lower thermal expansion coefficient thus improving precision and increasiing productivity. 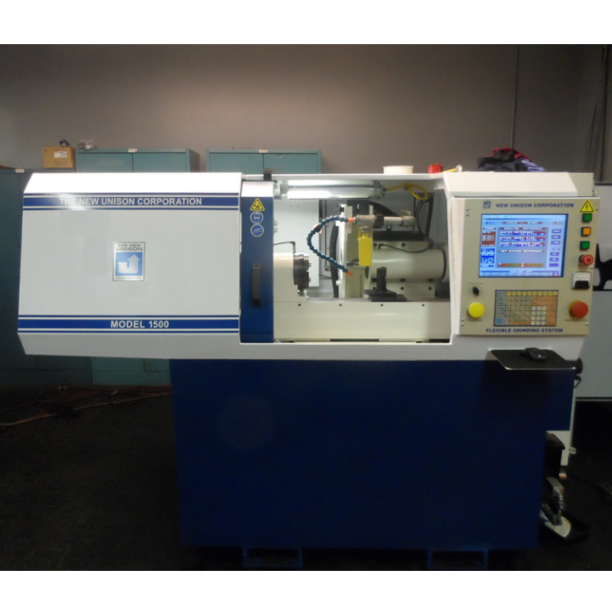 The Model 1500 is capabe of meeting the most demanding grinding applications and is shipped with a complete library of software for grinding standard punch shapes. The improvements incorporated in the new Model 1500 result in remarkable faster cycle times from part-to-part and greater reliability. Click here for brochure with specifications.